Among the things hit hard by the recent hostilities between India and Pakistan is an obscure bookstore called Naaz Book Depot tucked along the hyper-busy Mohammed Ali Road in southern Mumbai. What's the bookstore got to do with India-Pakistan relations, you might ask. Well, it's perhaps the only place in India where you could buy physical copies of Pakistani newspapers and magazines. You read it right: physical copies. But not anymore. In a country where an outlet of the iconic Karachi Bakery was attacked just because it's named after a Pakistani city, it's little surprise that Naaz Book Depot has been struggling to keep the supply of Pakistani newspapers going. Until recently, the bookstore sold most of the well-known titles from across the border: from the vaunted Dawn to the politically moderate The News International in English, and from Jang to Nawa-i-Waqt among Urdu dailies. Weeklies Akhbar-e-Jahan, Family Magazine, and monthlies Urdu Digest, Suspense, Jasoosi, Shua, etc were also available. Selling such rarities as Pakistani newspapers and magazines had strong pros and unpredictable cons. The bookstore would sell the copies at a premium. Dawn, whose flagship Karachi edition is priced at 25 Pakistani rupees, would cost you 40 Indian rupees. 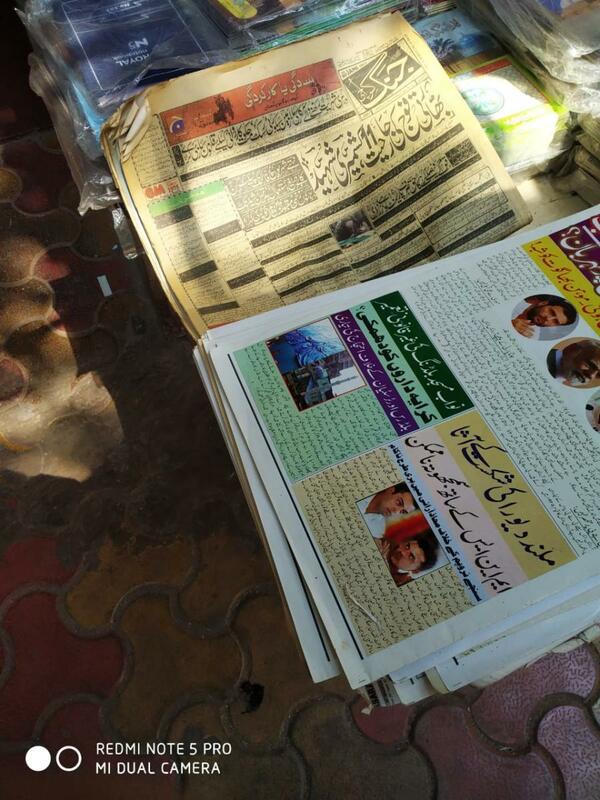 The Karachi edition of Jang, which sells for Rs 20 in the Pakistani city, was priced at 30 Indian rupees. You'll get two Pakistani rupees for every Indian rupee. The older issues did not see a price cut. Many buyers found the prices prohibitive but had no option but to pay up. Iqbal Bhai, who runs a ramshackle bookstore on the footpath near the JJ Signal down the road, made no bones about what he thought of Naaz Book Depot. "Andhon mein kaana raaja hai," he told this reporter. A literal translation would be "a one-eyed man among the blind". The expression refers to someone enjoying an absolute monopoly with no competition. The recent conflict between the nuclear-armed neighbours hit the supply of Pakistani titles. When this reporter visited the bookstore recently, the latest available issue of Jang was almost four months old. Dawn and The News International were not available. A salesman said the supply was irregular. "Abhi flight time pe nahi aa raha hai (the flight is not on time)", he said. "The papers arrive on Wednesday, sometimes Thursday. You never know when they will come." For the record, the only commercial air service between Mumbai and Karachi was suspended on May 11, 2017. Pakistan International Airlines (PIA) had cited poor patronage for the decision. Naaz Book Depot probably procured the newspapers and magazines from Dubai through the circular or informal trade route. The circular and illegal trade between the two countries is estimated to be three times the formal trade. While India's withdrawal of the Most Favoured Nation (MFN) status to Pakistan has understandably hit the formal trade, the informal trade hasn't been spared either. With no love lost between the two countries, even this circuitous supply of Pakistani newspapers to India has become erratic. No happy reading for now.